I would like to begin by saying how pleased we are with the customer service and the craftsmanship provided by your company. The pool looks beautiful. Everyone who has seen it has complimented us on the design and workmanship. Crystal Clear Pools did everything they promised. There were no short cuts taken nor a promise made that wasn’t kept. They stayed on top of the project from beginning to end. Their staff and workers were very friendly and very cooperative. We are very pleased with the process that took place in building our pool. Crystal Clear Pools did a fantastic job. I highly recommend your company to all our friends. I want to give special thanks to Judy, Michael and Adam for being patient and helpful in converting our back yard into a dream come true. We are very proud of our pool! We want to take this time to tell you and your team what a fantastic job your company did building our pool. Not only did you design and build a beautiful swimming pool, but you have created a vacation spot in our own backyard for our entire family. Everything was done swiftly and accurately. Whatever we were told would happen, happened. There were no surprises. I would like to give a special thanks to Adam Montemayor, we never felt alone in this process and he was always there to answer our questions. Adam was great support and went the extra mile for us. After our pool was complete we were schooled on the maintenance of the pool by Chris who gave us confidence and support that first time pool owners need. We could not be happier with the quality of work done by Crystal Clear Pools. Again we would like to express our gratitude for the wonderful work you and your team have done constructing our pool. We continue to receive compliments from our neighbors and friends on the fine job that was done. Should anyone need a recommendation for Crystal Clear Pools, we are ready to share with them our wonderful experience. We will definitely recommend Crystal Clear Pools to anyone. Again, thanks to Judy and Mike Tibbs and all the crew, great job! The “BIG DIG” began March 3, 2010 and the final phase was completed on April 13, 2010. Even with a few rain days, we were really surprised to complete the pool in such a short time span. The owners and site manager were very cooperative and their “hands on” approach was very instrumental in a successful build and exciting experience. Mike did an excellent job with the graphics, Judy utilized her special touch on the water fall and Adam was always there to make sure quality and schedule were in place. Chris wrapped it up with training on operation and maintenance. Thank you “CRYSTAL CLEAR POOLS” for a job well done! I highly recommend Crystal Clear Pools to anyone planning to have a pool and/or spa built. From the very beginning of the process, when they made computerized drawings of my hand-sketched plans, to the very end, when they remain on call for questions and service, I have been impressed with Crystal Clear’s professionalism and thoroughness. Each step was explained in detail to me, and I was always given the opportunity to be involved as much as I wished (which was a lot). I was quickly able to place great confidence in Adam to be honest with me, to know every aspect of the work being done, and to honor my schedule as much as possible. 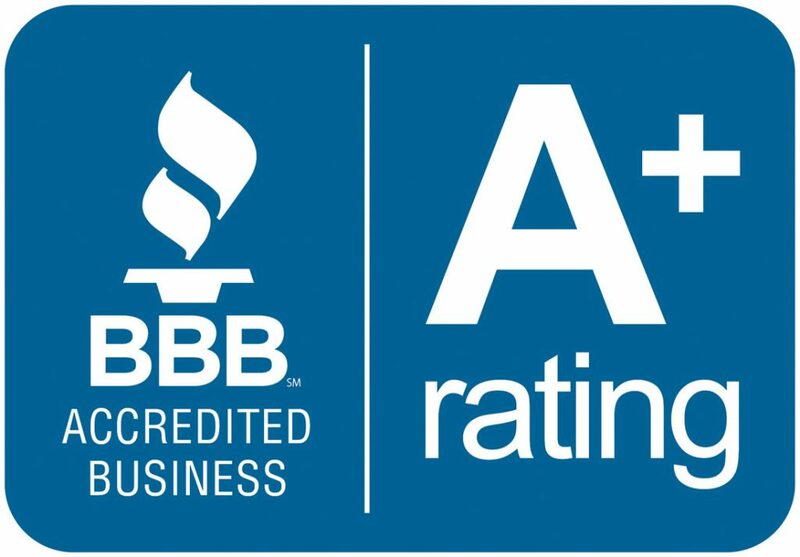 It is a rare thing to be able to trust a contractor so completely, and I appreciate Adam’s sincere desire to make my pool and spa the very best possible. 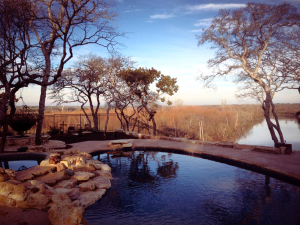 Crystal Clear Pools is the best in Texas! We are certainly enjoying our pool. It is beautiful and the craftsmanship that was shown by all your crews was superb. The retaining wall and the deck especially are wonderfully done and so transformed our back yard. We enjoy our back yard now so very much. Our friends (who did not have pools) told us we would regret the work involved with a pool but after 5 weeks we have found that there is a minimum of upkeep to a salt water pool. The water always looks crystal clear and blue . Thanks for all your efforts to help us get our financing and this “dream” of ours. After talking with several pool companies and many friends of ours we came across Judy and Michael. Some of our friends told us horror stories and how the company they used took their money dropped a pool in the ground of lesser quality and once that company was done and our friends had problems that company would not even return their phone calls. In fact the people that worked for Judy and Michael were kind enough to consult our friend that had a problem and told them how to fix it. Judy and Michael came to the house and talked about what we wanted. Man were we surprised. Not only did they build the pool of our dreams we got so many additional features for less money than any other pool company offered. Once the job was done they sent their employee out to service the pool and any time we have had any question we have called Judy or Michael and they have taken care of any and all questions or concerns we have had. Enjoying our pool for 3 years now. If you need a referral have Judy and Michael give you my phone number and I will tell you about our experience and how much we are satisfied. You can choose another company and get half the quality and less of a pool, or you can choose Judy and Michael and get a bargain. The pool looks beautiful! Very impressive. My gosh ya’ll amaze me how quick you get all that done! Ya’ll do good work! When I decided to build a pool at my home I interviewed the local pool companies, one of them advertises a lot, bragging about all the awards they have. 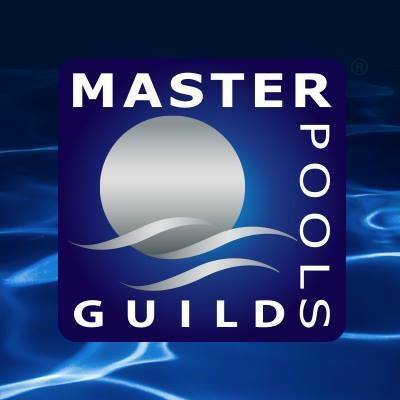 After looking at the work of a couple of them and witnessing the absolute arrogance of the pool builder who advertises all the time, I was left still looking for a pool builder I felt comfortable with. I wanted reasonable people and great quality. I am glad I found Crystal Clear pools. Michael and Judy do a great, fast, professional job. 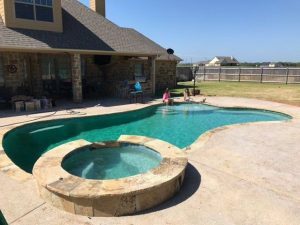 I am in construction and after meeting the Tibbs and completing my pool, I used them to build pools in San Antonio, Fort Worth and Plano Texas. There is no better recommendation then to repeatedly use them for your pools, and I will continue in the future. Use Crystal Clear pools, you will be glad you did. We love our Crystal Clear pool that was installed very professionally last spring (2015). Adam and Lindsay were always helpful and knowledgeable and answered every question we had before and after the pool was built. Another pool place came later to move a hot tub for us and commented on how great it looked and wanted to know who built it. We couldn’t be happier with. It is very low maintenance, even surrounded with large trees. If you’re looking to build a pool, we highly recommend Crystal Clear Pools. From design to construction and service after completion, we could not have been happier. The pool was built on schedule and everyone in the work crew was knowledgeable and professional. We have found that the salt water pool is very easy to maintain and the water always looks great. As first time pool owners, we had a lot of questions after startup. Crystal Clear Pools was just a phone call away and they were always able to help us. If we ever build another pool, Crystal Clear Pools will get the job. Great customer service. Recommend by many. Lindsay and Adam know their business. Communicated throughout process and delivered quality product. All trades were friendly and respectful while on property. Very competitive price. After researching several contractors, we were pleased to have found CC Pools. Judy and Mike provided a first hand, personal approach to the pool building process that made the experience worthwhile. They took time to explain the entire process, associated costs, finance options, and even allowed us to visit their personal “backyard paradise” so that we can personally see the possibilities. 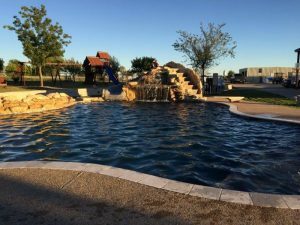 They were very sensitive to my personal goals of finishing the pool in time for my daughter’s birthday party and took time to explain the operation of the equipment to my family in more that one occasion while I was deployed to Iraq. It has been over 7 years since the construction and we continue to enjoy our own “backyard paradise”, looking for many more years of memories. I definitely recommend them. Special heartfelt Thank you to Crystal Clear Pools. They are experienced professionals, and a family run business. Impressive staff. Always on schedule. I highly recommend them for all of your pool needs. Thanks again, for the wonderful experience ! We love our Crystal Clear Pool! After having several companies came out to give us bids we decided to go with Crystal Clear Pools. Lindsay came out and really took the time to go through everything with us. We had never built or owned a pool before. Out of all the companies we met with she was the most prepared and informative. When she left we just knew this was the company we wanted to go with. Once we started the building process we got to meet the rest of the fam! Mike, Judy and Adam where all great! The construction process went smoothly despite the fact that 6 weeks feels like 6 months when its 90 degrees outside but Lindsay and the rest of the crew kept me well informed as each phase took place and before we knew it we were swimming in our new pool. I will say this as an anxious customer trying to patiently wait on a finished product there was never a time even after hours or on the weekends that I texted or called Lindsay and she didn’t respond (I was one of those customers). If I was doubting some of my decisions she was always there to reassure me or to explain the pros and cons. I didn’t really want to spend additional money on extra decking but as we talked about it more she convinced me I would have no regrets and I DON’T…..the only regret I would of had was not listening to their suggestions. I was very indecisive on plaster colors and she found me several pools in my area that they had built to go look at to help me make up my mind. As I went to look at pools I met some of their other pool customers that where just as happy with them as I was. I think that says a lot! Overall, our pool is beautiful and our experience with Crystal Clear Pools has been great! Even after the pool was installed if I needed help with chemicals or how to work something Adam has always walked me through everything and their 4 weeks of maintenance after the construction was complete is so helpful especially if you have never owned a pool before. We now have our pool on bi-weekly maintenance with them which works well with my husband and my busy schedules. I love the fact we can stay with the same company for all of our needs and they have had wonderful service after the sale which to me is most important! Thank you again Crystal Clear Pools for making this experience a great one! We will enjoy our pool for many years to come! 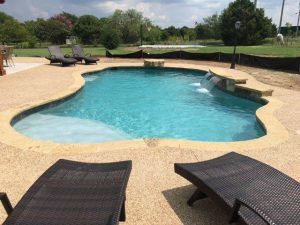 This great company fulfilled our dream of having a beautiful pool in our backyard, not only was it built with the highest professionalism but we were able to pick the materials to match our landscaping and yard. Now my family has a safe private and relaxing space that we are so incredibly proud of, we can not thank Lindsey and her family enough, and furthermore it’s refreshing to see a family built company growing with deep pride in their work. I will be sending them updated pictures in the spring when you can fully appreciate the beauty if what they have accomplished on our property. Just an awesome amazing and affordable company! This is our first pool put in at our dream home…and Lindsay and Adam were beyond attentive to our ideas, concerns, paranoia, and excitement! The pool is amazing and turned out so much better than we ever dreamed. We love everything about it…and the process was easy, breezy!! I have heard of bad experiences when people put a pool in or whatever, but our experience was easy, thoughtful, and thorough! Don’t even think of using another pool company. Crystal Clear Pools is the best! Owning a construction company, we have finally found our go-to pool contractor when our clients request a pool to complete their new home construction. Like-minded people who know their stuff and believe in customer satisfaction.